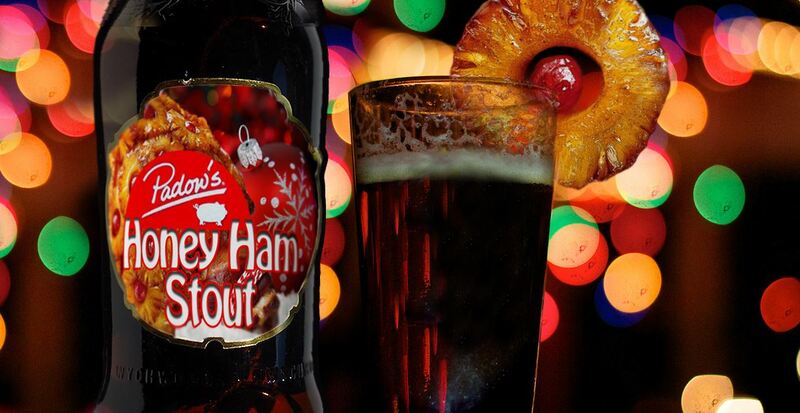 RICHMOND, Va. — Stepping up its game to get into the holiday spirit, Final Gravity Brewing Co., in partnership with Padow’s Hams & Deli, announced the release of its seasonal Hickory Ham Stout this morning. Support local journalism; pick up a copy of our 2019 calendar “Universities of the Commonwealth” today at our online store or at Mongrel in Carytown. Alex Donahue, the chief brewer at Final Gravity, said the idea came to fruition as the team was trying to nail down what their flagship holiday beer would be. “It gave some unusual smells during the fermentation period, but we just shrugged it off as ‘normal,’” Donahue added. While many stouts are rich with flavors like coffee and chocolate, the Hickory Ham Stout will feature the salty taste of the popular Virginia ham. It’s recommended that the stout be served lukewarm and with a pineapple garnish. Jim Idleson, a spokesperson for Padow’s, said the deli is looking forward to the partnership as well and hopes it could lead to more business from a sought-after market demographic. To celebrate the release, Final Gravity plans to throw a release party on Saturday morning at its Lakeside taproom which will feature a tasting session where patrons can try the stout paired with mixed nuts, smoked bacon, and, of course, homemade biscuits.